A few weeks ago, we explored how asteroid mining is becoming a viable niche within the commercial space industry. This article represents part two in our asteroid mining series. Much of the buzz surrounding the space industry these days is within the larger context of human exploration and colonization. Across the globe, space programs are looking to extend humankind’s reach within our solar system, and—perhaps one day—to parts beyond. With all this ambition, how do we prioritize which extraterrestrial hurdle to tackle first? 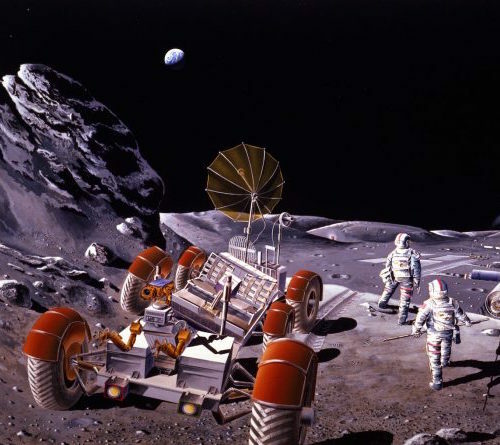 Some groups advocate establishing colonies on the Moon’s surface. Others are laser-focused on the race to Mars, and hope to build settlements there instead. Thanks to big-thinking investors and pioneering space startups, we may soon be able to pursue both goals at once. Today’s deep space budgets have been focused on either the Moon, or Mars. The United States, for one, has set its sights on the Red Planet. NASA’s Journey to Mars initiative hopes to achieve “Earth Independence” by the year 2030.1 NASA’s estimated budget for 2017 is set at $19 billion, much of which would go towards developing technology capable of sending humans to Mars. This Moon vs. Mars debate presents a problem for government-funded space programs. When the goals and budget for space exploration is decided by the State, shifting political priorities can delay major progress in either direction. Luckily, space exploration is no longer the exclusive domain of government agencies. Progress in the commercial space sector could mean that we don’t have to choose to focus our efforts on either lunar or Martian colonies—asteroids may one day enable us to pursue both. Asteroid mining startups could turn raw resources into fuel for permanent space settlements. Once remote mining operations are underway, asteroids would represent a source of capital that could enable the next step in deep space exploration. The first step to getting the mining machine up and running, however, is to find a suitable asteroid to mine. Much like eager prospectors in the early days of the Yukon gold rush, space programs are on the hunt for the best mining locations. While startups like Space Angels Network-funded Planetary Resources are developing prospecting technology, they aren’t the only parties looking to study asteroids. As part of its Discovery program, NASA intends to send robotic survey equipment to 16-Psyche, a massive metallic asteroid located in the belt between Mars and Jupiter.9 While not ostensibly a prospecting mission, 16-Psyche is of great interest to the emerging space mining industry. Thought to be the exposed metal core of an ancient, unknown planetoid, 16-Psyche may represent quadrillions of dollars worth of resources.10 For readers who may not know, that’s an absolutely enormous amount of freely available resources. And while 16-Psyche represents nearly 1% of the total mass in the asteroid belt, it is only one asteroid out of millions. What if we were one day able to harness these space-based resources, and use them to accomplish our goals? An in-space supply chain could support both lunar and Martian colonies—asteroids would provide ample raw materials for 3D printing, as well as sources of rocket fuel and other compounds necessary to build settlements in space. Public and private investments are necessary to make space mining a reality. Public investments in private companies are helping drive the development of the commercial space industry and, indeed, space mining in particular. In early 2016, the Grand Duchy of Luxembourg established a $227M fund, which will be used to promote the development of space mining activities.11 This funding is part of Luxembourg’s plan to become an international asteroid mining hub in the years to come. In November of 2016, the nation invested nearly $28M of this official fund in asteroid mining startup Planetary Resources. This influx of funding from a government agency, coupled with funds from a series-A investment round finalized earlier last year, will enable Planetary Resources to continue developing their asteroid mining technology. 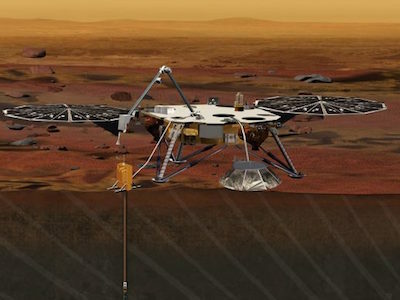 If all goes well, a fully-functional prospecting mission will launch by the year 2020. Successful asteroid mining operations would mean we wouldn’t have to choose absolute destinations at all. Our next steps into space shouldn’t be defined by debating Mars versus the Moon—with collaboration between public and private entities, it needn’t be an either/or question. The commercial space industry is enabling progress throughout the sector. One of the most exciting outcomes of the rise of the private space industry is the unprecedented proliferation of new technologies and ideas. Equally exciting are the potential results of collaboration between separate ventures. As interest in commercial space continues to grow, the days where government budgets defined the future of space exploration are coming to a close. We are only beginning to understand the implications of permanent settlements in space, and the scope of what it would take to get us there. But with commercial interest at an all-time high, and with the financial support of both public and private investors around the globe, we are reaching the point of making our space dreams a reality. Commercial space ventures and pioneering investors may one day enable humanity to extend its presence beyond Earth. "Journey to Mars Overview." NASA. National Aeronautics and Space Administration, n.d. Web. 22 Jan. 2017. Grush, Loren. "Russia announces plans to send humans to the Moon in 2029." The Verge. The Verge, 28 Oct. 2015. Web. 22 Jan. 2017. Harrington, Rebecca. "China plans to reach Mars by 2020 and eventually build a moon base." Business Insider. Business Insider, 21 Apr. 2016. Web. 22 Jan. 2017. MacDonald, Fiona. "NASA Scientists Say We Could Colonise the Moon by 2022... for Just $10 Billion." ScienceAlert. ScienceAlert Pty Ltd, 22 Mar. 2016. Web. 22 Jan. 2017. "Out of This World: Permanent Lunar Colony Possible in 10 Years." Sputnik News. Sputnik International, 10 Mar. 2016. Web. 22 Jan. 2017. Atkinson, Nancy. "What Are Asteroids Made Of?" Universe Today. Universe Today, 24 Dec. 2015. Web. 23 Jan. 2017. Tate, Karl. "How Asteroid Mining Could Work (Infographic)." Space.com. Purch, 22 Jan. 2013. Web. 23 Jan. 2017. Koren, Marina. 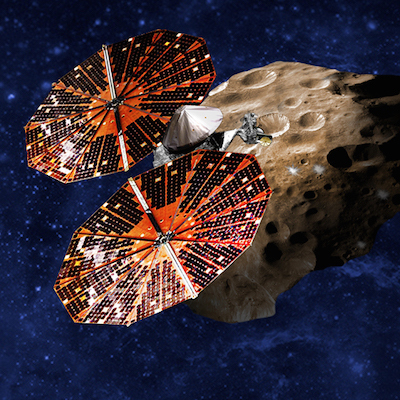 "Is NASA Paving the Way for Asteroid Mining?" The Atlantic. Atlantic Media Company, 6 Jan. 2017. Web. 22 Jan. 2017. Adamson, Allan. "NASA Mission To Send Probe To Metal Asteroid Worth $10,000 Quadrillion." Tech Times. Tech Times, 19 Jan. 2017. Web. 22 Jan. 2017. Mount, Ian. "Luxembourg Wants to Mine Asteroids With Help From Google’s Larry Page." Fortune.com. Time, Inc., 3 Feb. 2016. Web. 23 Jan. 2017.